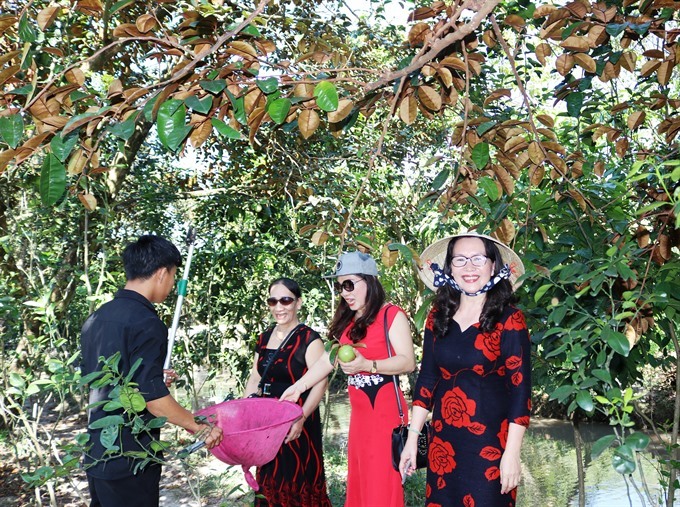 MEKONG DELTA — Farmers in the Cuu Long (Mekong) Delta have developed agri-tourism models that have not only increased their incomes but also contributed to sustainable agriculture and rural development in the area. The Mekong Delta, which is the country’s largest agricultural production area, has great potential to develop ecotourism. It has been listed among the best destinations to visit in 2019 by the US travel magazine Conde Nast Traveler. Pham Van Hoang, 54, owner of Chin Hong Fruit Garden in Phong Dien District’s My Khanh Commune, said he grows star fruit, mango, rambutan, coconut and guava on 1.8ha. 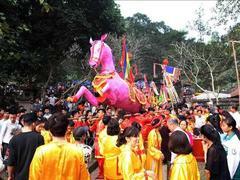 Tickets are VND30,000 (US$1.3) per person. Visitors can pick fruit to eat while relaxing later in the garden. 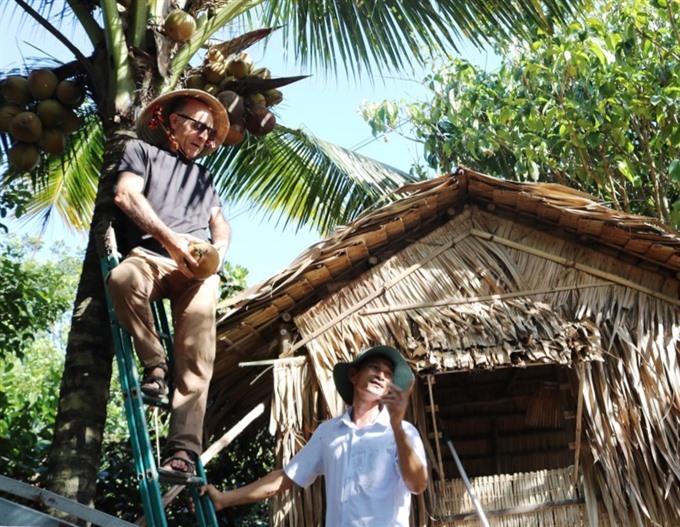 Hoang said that the eco-tourism model had helped him increase his income and expand production. He earns a profit of about VND400 million ($17,245) each year, with revenue from tourism accounting for 70 per cent of the total. Hoang plans to open a homestay service in the near future to meet demand of visitors. Cao Van Hoa, deputy director of Tien Giang Province’s Department of Agriculture and Rural Development, said the most profitable model was agri-tourism, which contributes to sustainable agricultural development. Fruit farmers earn an annual profit of about VND400 million ($17,245) per ha, with durian farmers earning about VND1 billion ($43,000) per ha per year. Combining agricultural production with tourism, farmers can raise their incomes by two to three times compared to production and consumption of agricultural products, Hoa said. “Agencies should cooperate more closely to help the tourism industry exploit agriculture,” Hoa said. Tran Anh Tuan, 58, owner of Thach Thao Garden in Tien Giang Province’s My Tho City, said when he had noticed the growing desire of tourists to explore nature and agricultural products, he switched from growing vegetables, oranges and lemons, which are not economically efficient, to gac (Momordica cochinchinensis) fruit and many kinds of flowers. Tickets for visitors to his garden are VND30,000 ($1.3) per person. The garden also rents traditional dresses of ao dai and ao ba ba for visitors to wear for photos taken in front of beautiful flowers. Besides income from tourism, four times a week, Tuan sells 300-400kg of fruit each time, for VND10,000 ($0.43) per kilo, earning VND3-4 million ($130-170) a week. 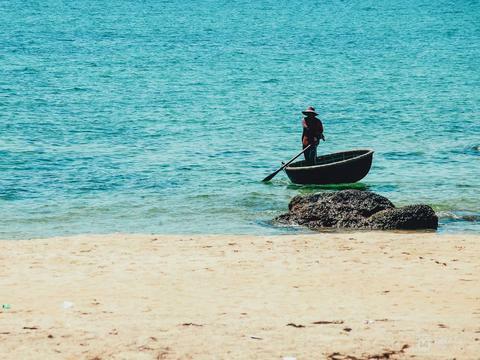 Vo Huong, deputy director of Kien Tri Human Resource Training Co., Ltd in Can Tho City, said the most difficult task was training human resources. 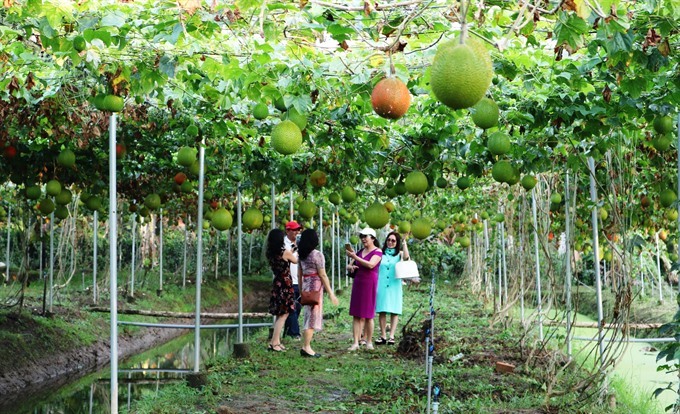 “New agricultural tourism products should be created to attract more tourists who will stay longer and spend more money,” said Nguyen Hoang On, deputy head of the Centre for Tourism Development under the Can Tho City’s Department of Culture, Sports and Tourism. To achieve sustainable development, authorities in the Mekong Delta should strive for improved efficiency, On said.